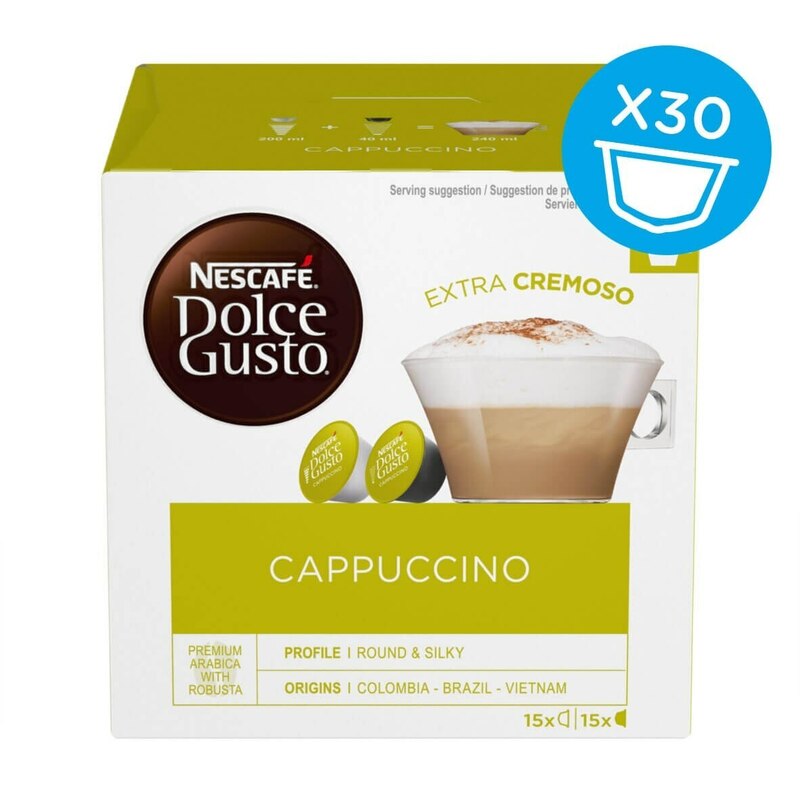 Discover NESCAFÉ® Dolce Gusto® Cappuccino, an Italian icon in a 30-pod format. The rich and bold aromas of an intense espresso meet the smooth taste and creamy texture of whole milk froth. Our talented coffee creators have perfected NESCAFÉ® Dolce Gusto® Cappuccino in a two-capsule recipe, so that the Italian-style dark roast Arabica from South America is topped with a creamy and persistent whole milk froth, enhanced with a hint of sugar. First slide the milk (white) capsule into your NESCAFÉ® Dolce Gusto® machine. Then repeat with the coffee (brown) capsule and have your perfect Cappuccino ready right away.